The secret on how to increase anagen phase of hair to boost hair growth! It is sadly true that people are having a wrong belief about our hair growth that it grows all at once. In fact, human hair grown is divided into 3 different phases: the anagen, the catagen and the telogen phase. 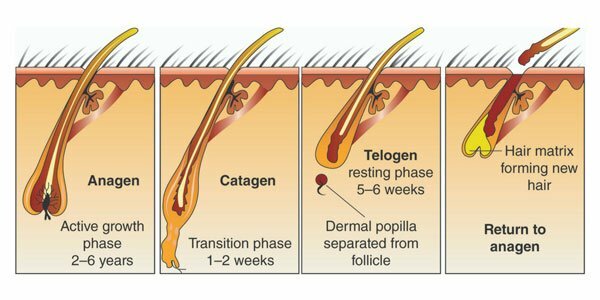 Of the 3 phases, we focus on the anagen phase since it is the growth phase of hair. Should you feel sad about your hair that cannot be grown past your shoulder, don’t be worried because there are still ways you can do to solve the problem of how to increase anagen phase of hair, which helps your hair grow longer and fuller. As you may believe that the anagen phase is the key to a longer and fuller hair, let me explain how anagen phase can affect your hair growth. It is agreed by most dermatologists that this phase lasts for about 2 to 6 years based on individuals’ genes. In other words, people with longer anagen phase are lucky to be able to grow much longer and fuller hair. So, the methods to boost your hair growth lie in the answer to the question of how to increase anagen phase of hair. During the anagen phase, there are many transformations taking place under the scalp. First, the hair follicle forms and grows deeper in the scalp. When it is deep enough, it forms a hair bulb at the bottom of the scalp, you can imagine it is like a plant seed under the ground. Secondly, dermal papillae, which is the connective structure, attach the hair bulb firmly to nourish hair to grow. Next, when all the hair bulb is connected, hair shaft keeps growing and growing upward and push all the old hair follicle out if there are any of them. To finish the phase, hair shaft grows upward emerges as new hair, which can be straight or curly depending on individuals’ genes. If you are wondering how to grow your beard or any other hair in any parts of your body, it is interesting that the answer also lies in the way of how to increase anagen phase of hair. The reason for such fact is that body hair grows as the same mechanism with hair growth. However, the body hair is much shorter than your hair due to the fact that the anagen phase of scalp hair lasts longer than that of any other body hair. The key to tackle the problem of how to increase anagen phase of hair can be different among different people. Due to various genes structure, environmental toxics and the stresses people are overcoming daily, the anagen phase would function in different ways. As a result, the anagen phase is unique and the way to increase it can vary differently. Another fact about anagen phase is that shaving and wearing hats or hair ties will not put any effects on it. However, if you want a long and full hair locks. Much as important as healthy food can be to your body fitness and strength, it is also vital to hair growth. So, if you wonder how to increase anagen phase of hair, the answer lies in your amount of water and nutrition intake. The main component of hair is protein, hence, make sure to take in enough protein so that you can achieve you are desired long and full hair. 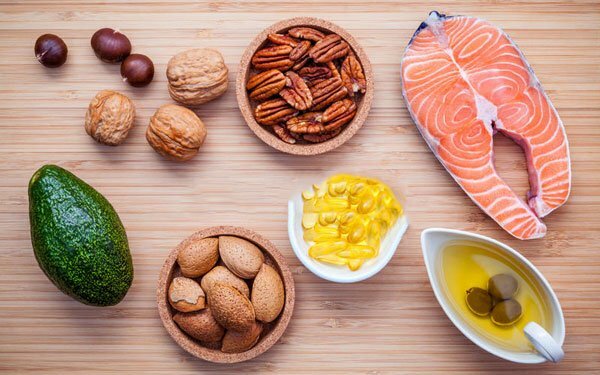 Also, minerals, healthy fats and food rich in vitamins B,C,D, omega 3, fatty acids, zinc and iron like fish, eggs or carrots play an important role in hair health. Besides good diet and healthy food, you need to release your stress because if you take in good and healthy food to increase hair growth but you let stresses make hair loss then the effort is worthless. May it sound surprising to you that drinking water can boost your hair growth? You may have known that hydration is good for releasing toxins and stresses but have you ever thought that water is another answer to the question of how to increase anagen phase of hair? 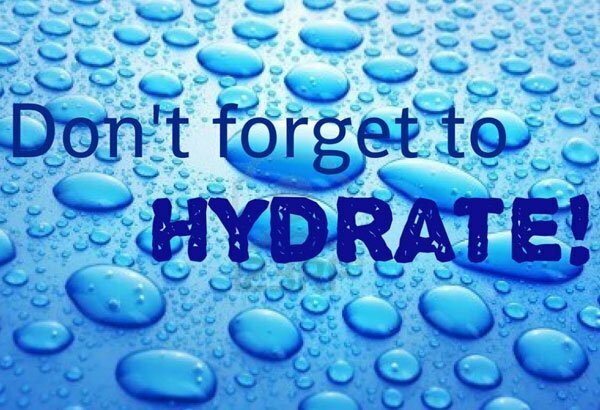 It is true that drinking water can drain toxins that disrupt your hormones level out of your body, which protect your locks. To proof that hormone is important to hair health, we can take pregnancy as an example. Women during pregnancy grow longer and fuller hair since the estrogen level goes up suddenly then becomes balance after giving birth. As a result, so as to have a healthy hair, you can drink water to condition your hormones level, which leads to healthy hair locks. It may sound irrelevant when saying that brushing can affect hair growth but it can indeed. Brushing hair gently and correctly can enhance the blood circulation of your head, which allows more nutritions into the scalp. Besides, brushing correctly can result in breakage. Again, i have to recall that the key to hair growth lies in the answer to the question of how to increase anagen phase of hair but if you manage to boost your hair growth while you still let your hair loss happen then it is pointless effort. 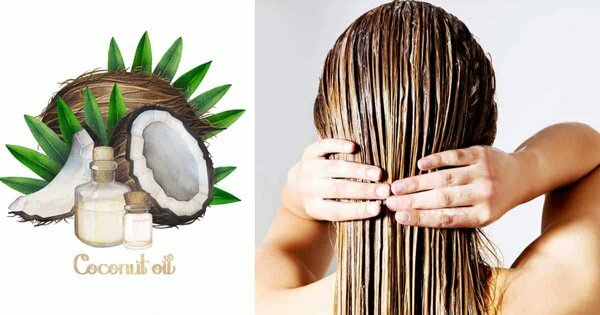 One of the effective way to tackle the problem of how to increase anagen phase of hair is to massage your scalp with coconut oil or other essential oils. Coconut oil, which is rich in nutrients and protective agents, can promote hair growth speed. Moreover, massaging your scalp with such oil can help your relax, rest to release stress, which is also a factor leading to hair loss. Another answer to our question: how to increase anagen phase of hair is to use hair supplement. To boost the anagen phase, you can provide your hair with products which are rich in biotin, niacin or zinc. 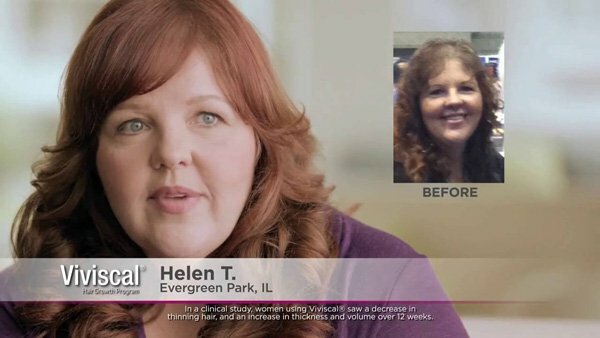 One of the popular supplements that are claim to lengthen anagen phase is Viviscal. You can find it or others products and read about instructions or side-effects to achieve the long and full hair of your dream. Now, you are aware that a full and long hair locks is not a dream anymore. Knowing how to increase anagen phase of hair, why don’t you stop your depression and start to make your dream hair come true? https://beladyhair.com/wp-content/uploads/2018/07/how-to-increase-anagen-phase-of-hair-3.jpg 400 600 admin https://beladyhair.com/wp-content/uploads/2018/06/logo-moi.png admin2018-07-06 05:02:472018-07-13 08:41:36The secret on how to increase anagen phase of hair to boost hair growth!